Although your French drain (commonly called a weeping tile) is one of the non-visible elements of your home, it's essential. It evacuates water around the foundation walls, prevents water from accumulating near these walls, and prevents water infiltration. Water collected by the French drain is then directed to the catch basin (sump) which drains it all out through your home's evacuation system. It can be installed outside of your home or inside, under the concrete slab. A low quality French drain, or one that is poorly installed, can be damaging to your home. It can cause excessive humidity as well as water infiltration. If properly installed, however, it can last up to 30 years without any problems. Though, if it somehow gets damaged or is clogged, you'll need to get it repaired or replaced as soon as possible. Given how big of a project replacing a French drain is and the consequences linked to a poorly installed one, you'll need to make sure you hire a qualified French drain contractor. Should your French drain be replaced? Why add a waterproofing membrane? Indoor or outdoor French drain? A Renovation Advisor to help you! Get up to 3 quotes now! A French drain is a PVC pipe with holes in it installed at your foundation's footing. It's typically installed outside your home. This drainage pipe collects water and directs it away from your foundation. According to the Ontario Building Code, this kind of drainage system is mandatory for any building, unless it is shown to be unnecessary. As for Quebec, it's mandatory for all buildings. Though, these requirements haven't always been around as you'll commonly find buildings that are over 50 years old that do not have a French drain installed. It's easiest to notice if your French drain needs to be replaced when winter ends. As the snow melts, the ground must absorb a greater amount of water, but seeing as the ground is still partially frozen, it can't absorb it all. If your French drain is defective, the water will make its way down, but create pressure on your foundation walls. Water spots on the floor, the concrete slab, or wall joists. Humidity in your home: If the humidity level in your basement is usually rather high or is so after rain or snow storms, it can be due to your foundation being wet. 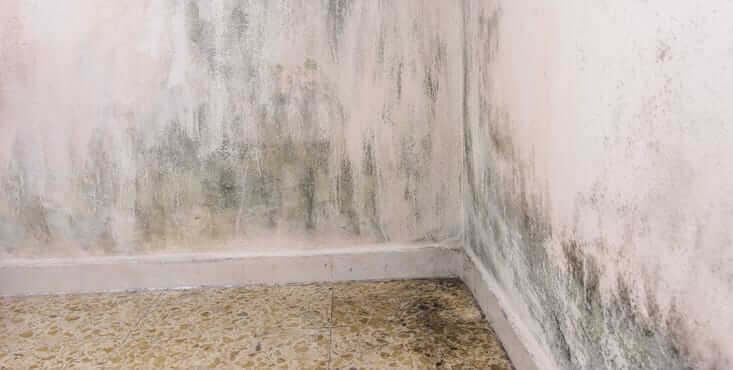 Musty odors in the basement: a humidity surplus usually causes mold and fungi to form, thus creating unpleasant odors. Humidity stains: humidity stains can become noticeable near your concrete slab or foundation joints, especially after rain storms. Foundation cracks: excess humidity can easily create cracks in your foundation. As water is unable to make its way away from your home, it creates a pressure on your foundation walls. If this water accumulation freezes, it's likely to crack the concrete walls. Ocher residue at the bottom of your walls or in your sump pump's water. Iron ochre prevents your French drain from doing its job by potentially clogging it. Excessive water accumulation on your property. If your property is flooded, it might be because of your French drain. "I'm here to help you with your french drain project"
In most cases, a French drain's effectiveness begins diminishing after 25 years. However, it can be in top shape for up to 40 years. If your home is showing signs of humidity, but your French drain's lifespan isn't over yet, you can get it inspected with a camera system. The hired expert will thus be able to let you know whether your weeping tile needs to be replaced or if it's simply clogged. On average, this kind of inspection costs between $1,000 and $1,500, and it typically requires two excavations if the inspector can't pass through the sump pump, the rainwater drain, or the drainage chimney (cleanout). Often, a French drain stops being effective because it's clogged, whether it be because of leaves, random debris, or even roots. You might even have a less effective French drain because minerals, like sand, gravel, or limestone have made their way into the pipe. Otherwise, clogging can be caused by iron ocher - a thick orange-toned mud-like substance that's formed when iron, water and oxygen react together. Depending on the issue at hand, you might need to unclog your French drain (with the help of strong water jets) or replace it. Besides replacing your drain, our contractors also offer complementary services that ensure your foundation is properly protected. They can offer foundation crack repairs, if necessary, along with the installation of a new waterproofing membrane. It'll greatly protect your foundation from water and will help the water redirect itself towards your drainage system. 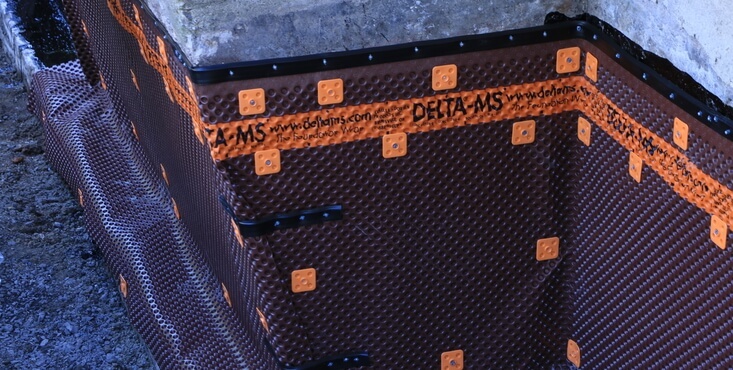 The waterproofing membrane essentially protects the outer side of your foundation. It plays an important role in preventing water infiltration, thus practically eliminating the risk of foundation deterioration. How Much Does Replacing a French Drain Cost? Furthermore, its installation requires excavation. This mean you might need to plan extra costs to redo your landscaping. What About Installing a French Drain in the Winter? Getting a French drain installed during winter months is possible, but not at all recommended! With the excessive cold, your foundation isn't as watertight as in warmer months. Also, if you plan on excavating in the winter months, that's likely to run up your costs! Plus, once the new drain installed, there's a risk of it moving in the spring when the ground begins to thaw. Replacing or repairing your French drain during winter months should only be done in emergency situations. Have you Considered Installing a Foundation Drain? When a building's exterior is oddly laid out or too close to a neighbouring building, it can be impossible to dig around it. If that's the case, you'll need to find a solution to ensure every side of the building has a drainage system installed. It's possible to get a French drain installed within the walls by breaking the concrete slab. This solution's cost isn't much more pricey as there is no excavation that needs to be done. Though, costs will differ since the contractors need to make their way through the concrete slab. A foundation drain is an effective solution in situations like this one. However, it isn't the most optimal solution, especially if your basement is already finished as its flooring will need to be ripped out to make way for the new drainage system. You'll then need to redo it. Picking a lesser desirable area to install the French drain: an expert will need to find the optimal spot to install your French drain. Excavating without checking building/property plans: you need to ensure that the excavation process will not damage existing systems like sewage pipes. Not installing the drainage pipes at an angle: as the French drain works with gravity, you'll need to make sure it's installed at an angle. 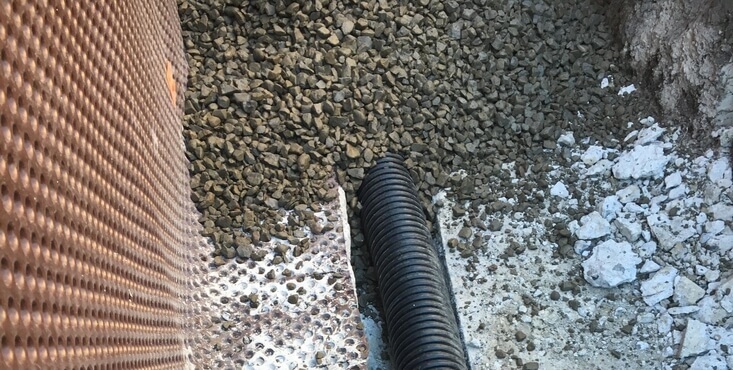 Not surrounding the drain and the gravel with a geo-textile membrane: often, people install a geo-textile membrane right on top of the gravel. However, it should be installed all around the gravel and piping. Putting in less than 6 inches of gravel: when installing a French drain, the gravel needs to be at least 6 inches deep. Using a liquid-permeable filter: some opt to cover their drains with a filtering membrane. Unfortunately, this kind of membrane usually gets blocked by particles and preventing water from making its way to the drain. A mistake that isn't directly related to French drain installation is investing a rather large sum to finish your basement without checking whether your land is properly drained and your foundation is protected. In fact, before closing up your basement walls, humidity can easily makes its way out of the walls. However, once gypsum is installed, humidity gets trapped within the wall, thus potentially forming mold on the long run. It's therefore important to check whether your foundation is in good shape and your French drain is too if you're to get your basement finished. Seeing as this kind of renovation project requires quite the investment on your part, and that getting a French drain installed by non-qualified persons can cause terrible consequences, it's important to hire qualified contractors. 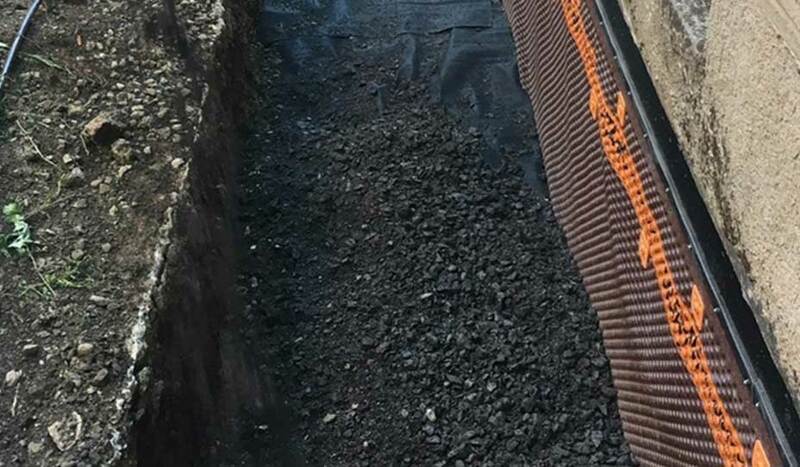 At Reno-Assistance, all our French drain contractors have undergone our rigorous 360° Verification process, so you're sure to find qualified professionals. We check their financial stability, their liability insurance, their supplier relationships, their legal history, and more. Working with one of our contractors will minimize your risks of running into issues during the renovation process. 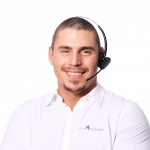 Our Renovation Advisors are Here to Help at No Cost, No Obligation to You! Our Renovation Advisors have thousands of projects of experience under their belt! They can help you properly plan out your renovation project and are there to help you find the right contractor. They'll put up to 3 contractors up against one another to bid on your project & then help you understand each quote that comes your way. The entire process is designed to ensure you get the fairest price. But, ultimately, the contractor choice is up to you. The advisor's help is at no cost, no obligation to you! Ready to get started with your French drain project? Call us to get in touch with our Renovation Advisors.